With 14 years of experience as an HR Director at some of the UK’s most recognised organisations, Jenifer Richmond saw first-hand the immense value of working with a skilled Executive Coach. In this rapidly-evolving economy, senior executives are under more pressure than ever before. Executive Coaching provides a challenging and supportive environment for CEOs, Directors and senior managers to develop and excel, enabling them to achieve their business goals and nurture the leaders of tomorrow. The impact of skillful leadership coaching will resonate throughout an organisation. As one of the UK’s leading Business and Executive Coaches, Jenifer’s expertise and thoughtful approach have had a profound impact on the clients she has worked with; testimonials from her valued clients can be found here. 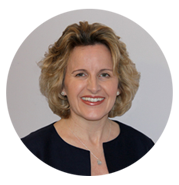 Based in Nottingham, Jenifer offers Executive Coaching and Development services in London, Birmingham and across the Midlands area. She is also pleased to offer her services remotely. To book a complimentary consultation, simply call Jenifer on +44 (0)7478 231122 or email jenifer@jrec.me.uk.